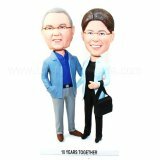 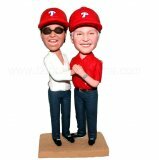 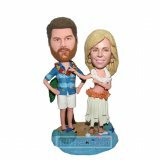 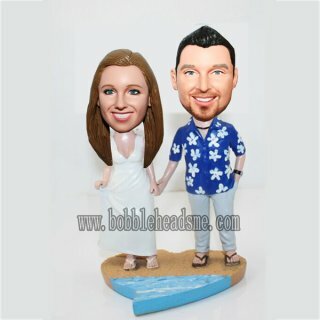 With the hawaiian shirt, the man one hand on the pocket, and the other holding his wife standing on the half sand and sea base.The female bobblehead wearing her white simple wedding gown, her beauty is unstate.This customized couple bobblehead can be meaningful for the couple who love sea resort. 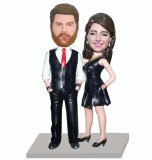 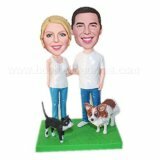 Also good for their wedding cake topper. 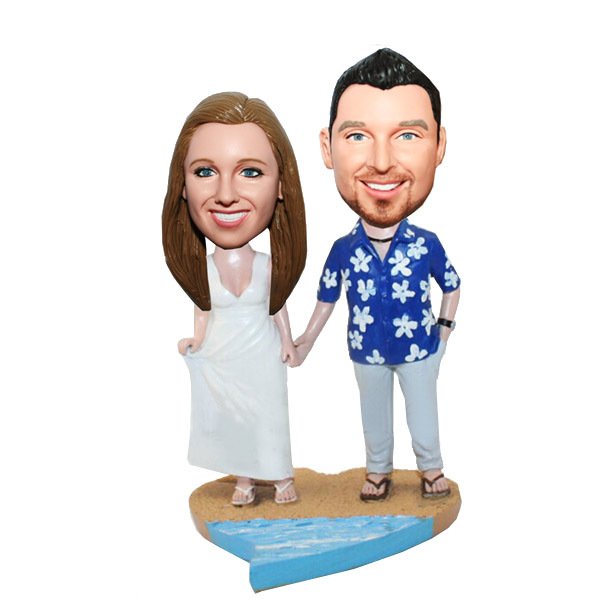 Our talented artists love the abundance of sunshine summer, too!